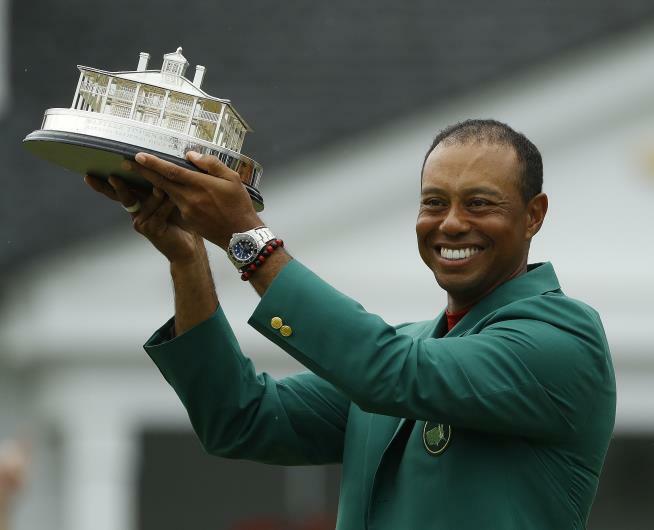 (Newser) – Tiger Woods achieved an incredible career comeback Sunday by winning his fifth Masters and his first major tournament in nearly 11 years, ESPN reports. And he did it in dramatic fashion, beginning the final round at 2 down against Italy's Francesco Molinari, the reigning Open champ, and playing an unflinching 2-under 70. Woods was 13 under par at 275, beating Xander Schauffele, Brooks Koepka, and Dustin Johnson by a single stroke, per the New York Times. A birdie putt at the 15th hole gave Woods a lead that he never relinquished. Woods' 15th major tournament victory was also his first since his life began coming apart in 2009 amid a bitter marital dispute and shocking tabloid headlines. While I strongly disagree w/ vertebral surgery I applaud the helluva comeback that the sport, the man and the country desperately needs. Perfect example that substance abuse is not who you are, but a treatable condition you are suffering from. Money can't buy him love or happiness but it sure can get him the best steroids apparently.